Boozy Blueberry Lemonade Cocktail made with the freshest ingredients! When I think of summer drinks, lemonade is one of the first things that comes to mind. 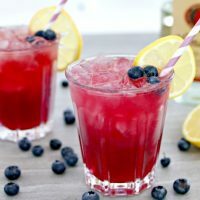 Sometimes it’s nice to have a more adult version, like this delicious Boozy Blueberry Lemonade Cocktail! It’s so fresh, you’ll be craving it all summer long! 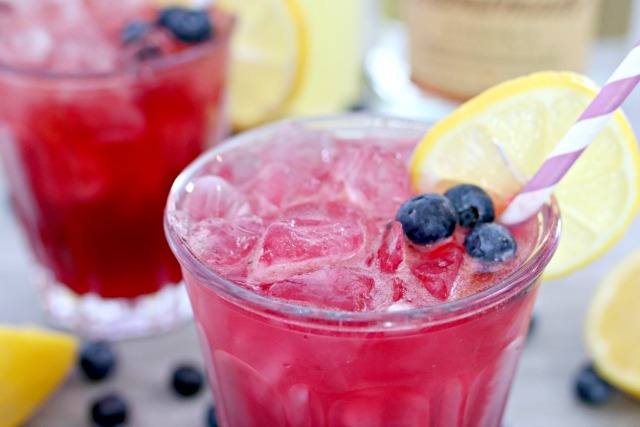 This delicious Boozy Blueberry Lemonade is made with only the freshest ingredients, and your taste buds will thank you for that! I’m ditching as much as the store bought mixers as I can and really trying to enjoy all of my cocktails in the freshest way possible. 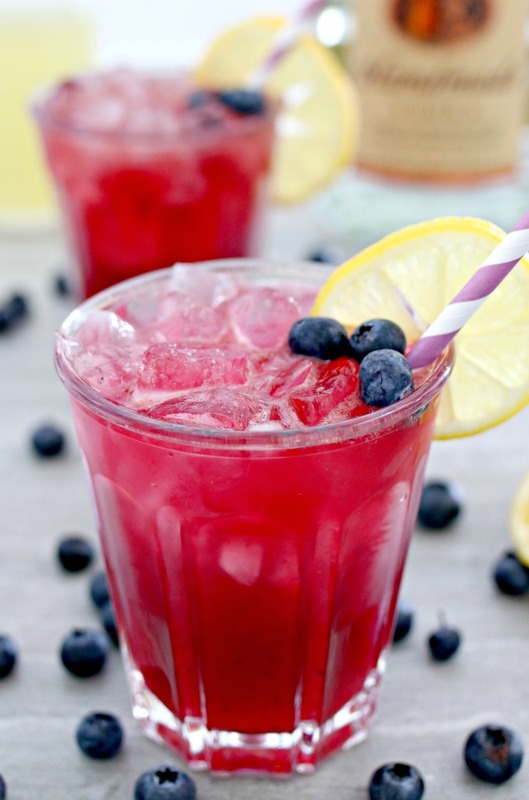 This particular drink is made with fresh blueberry puree and fresh squeezed lemons, and I promise it didn’t take much effort at all…and it will knock your socks off! You may want to warn the kiddos though…this is definitely not a drink for them. Step 2 – In a glass, add 1 ounce of fresh blueberry puree, 2 ounces of fresh lemon juice, 1/2 ounce of Homemade Simple Syrup, 2 ounces of vodka and stir. Step 3 – Fill glass almost to the top with ice. Step 4 – Add a splash of lemon-lime soda or club soda. Step 5 – Garnish with a lemon slice and a few fresh blueberries. Enjoy! 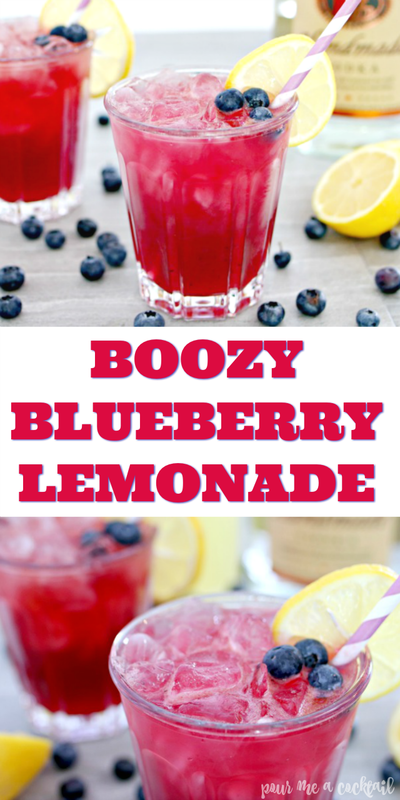 In a glass, add the blueberry puree, lemon juice, simple syrup and vodka. Stir well. Fill glass with ice and top off with a splash of lemon-lime soda or club soda. Garnish with a lemon slice and a few fresh blueberries. 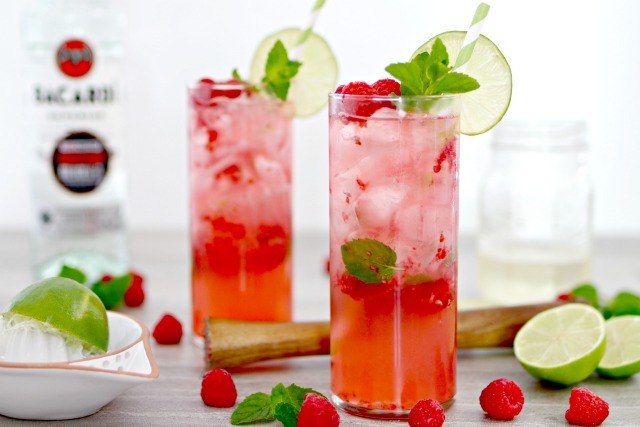 This Raspberry Mojito Cocktail is amazingly fresh and has so much flavor. It’s one of my go to summer drinks to share with friends! 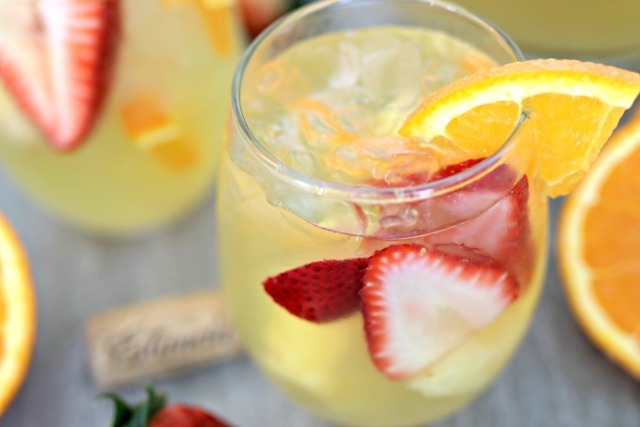 If you love sangria as much as I do, I think you will fall head over heals for this Tropical White Wine Sangria! It’s so refreshing and can be made by the pitcher! 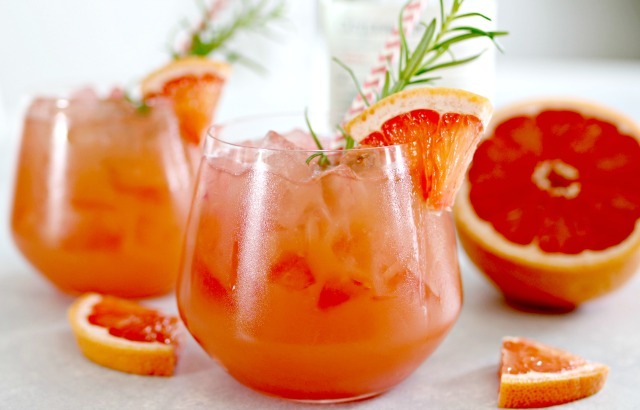 Another super fresh cocktail that I love is this Grapefruit Sunrise Cocktail. It’s a nice addition to brunch or just for enjoying with friends this summer!